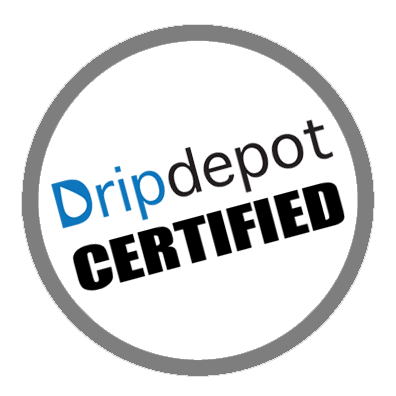 This drip irrigation kit is a great choice in situations where your water source is a pond, creek or other source that may have some small debris in it. The items in this kit are designed specifically for this type of situation and will provide many years of trouble free operation. 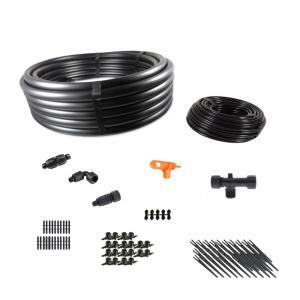 This Standard Gravity Feed Drip Irrigation Kit for Dirty Water can water up to 20 plants. This is a complete, self-contained drip irrigation kit that comes with everything you need to create a working system. The drip irrigation tubing (or tape) in this kit can be cut with ordinary household scissors, box cutter or tin snips. You can view and/or print the detailed installation instructions by clicking on the button below the parts list.